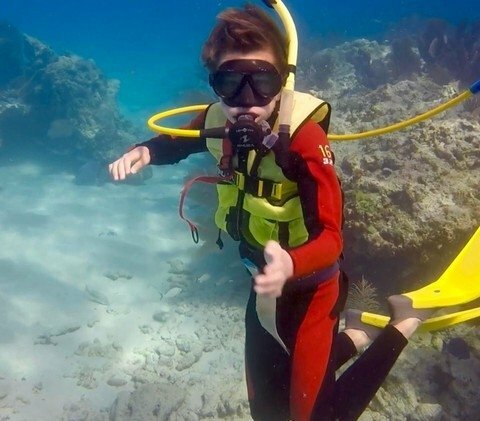 Whether you are already a dive professional or a first-timer, we have the underwater activity for you at Dive Isla Bella. 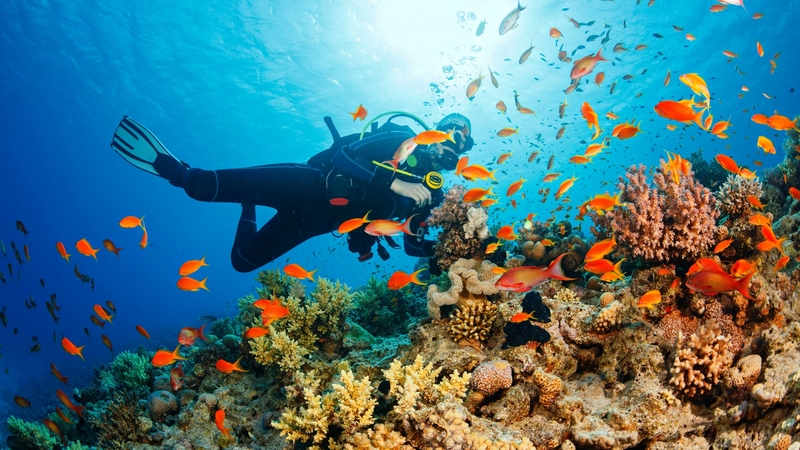 From day and night trips to over 30 different dive sites including Sombrero Reef and Coffin’s Patch Sanctuaries, to refresher courses and certifications, take advantage of some of the best diving in the world during your stay. 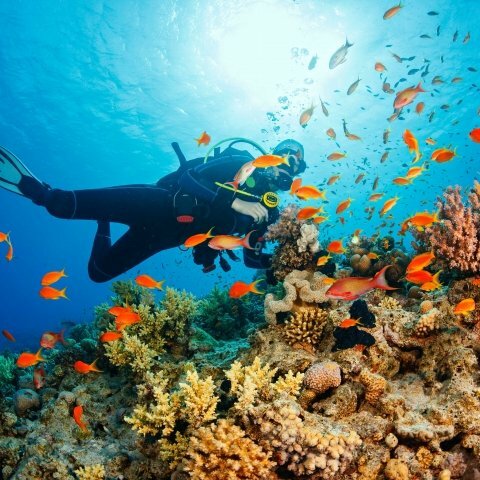 Experience coral reefs, ship wrecks, and night dives. 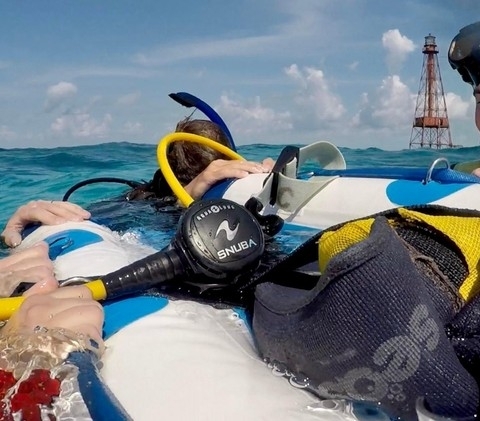 Our half-day trips are designed to meet the needs of a variety of activities and ages with options for scuba divers, SNUBA® divers, and snorkelers. For reservations, please call 305-743-7255. Sunk in 1986 for the purpose of diving, the Thunderbolt has a rich history. The wreck is rich with life and is home to a number of resident Goliath Goupers exceeding 400lbs. Similar to our reef dives, just at night! We have over 30 different dive locations to choose from at Dive Isla Bella, with our premier dive site being Sombrero Reef Sanctuary. 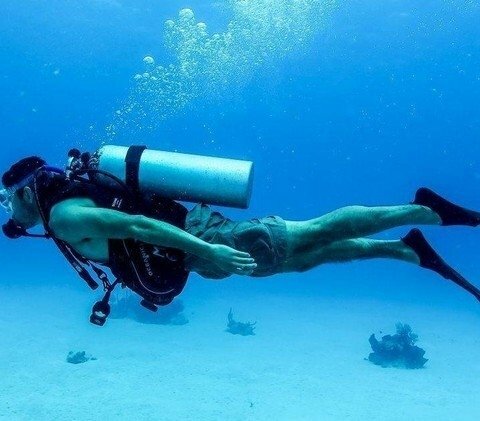 Island Diver was custom designed for divers by divers. It is comfortable, plush and fast, with every modern convenience possible! Private excursions include a Captain and Divemaster and complimentary beverages and bottled water are included. Our philosophy of teaching is to hone your scuba ability and confidence as a safe, knowledgeable, confident diver. 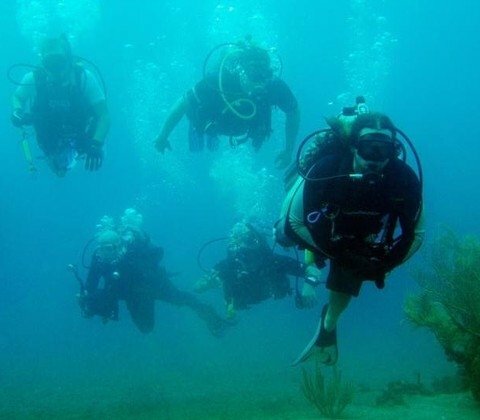 This is the one-day solution to not being a certified diver. 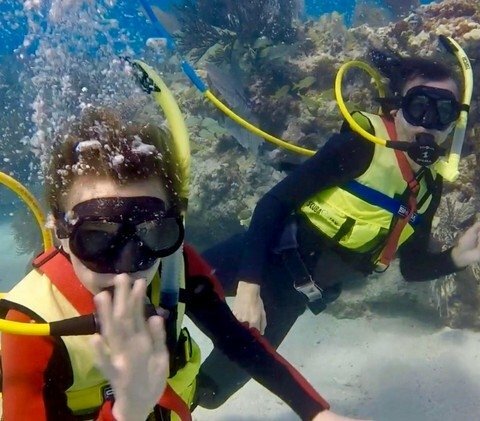 Get acquainted with your scuba equipment during our 4-hour pool/classroom session, then be guided by your instructor to the reef for a shallow reef dive. Has it been more than two years since you've been diving? Our Refresher Course is very thorough without compromising too much of your very valuable vacation time. 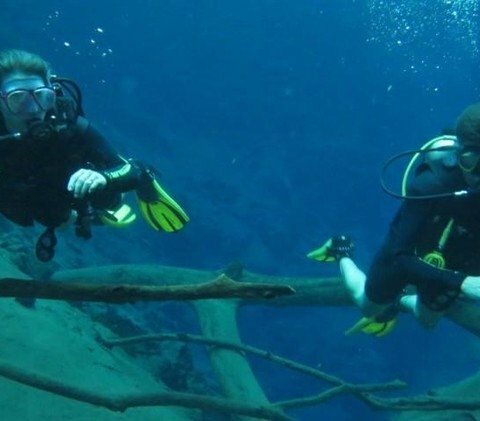 Has it been more than two years since you’ve been diving? Our Refresher Course is very thorough without compromising too much of your very valuable vacation time. Our theory is to teach you to rely on your ability, not fancy equipment. 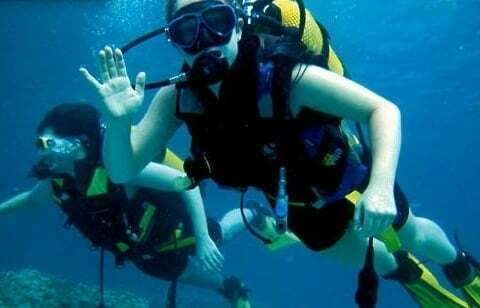 We teach PADI, NAUI, and SSI, and can complete any Universal referral agencies. 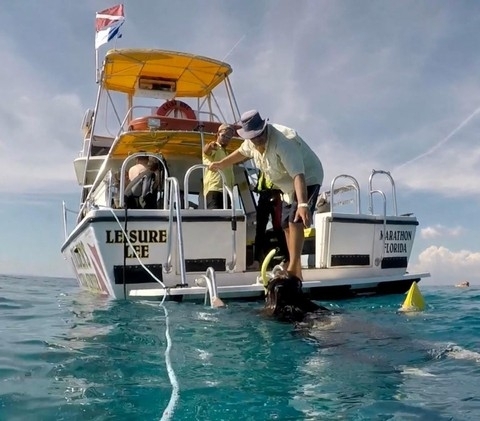 The traditional schedule for an advanced class consists of 3 core dives: Navigation, Deep, and Night, with 2-3 electives chosen from fish identification, search and recovery, peak performance buoyancy, underwater photography, and hunting. Both your surface and underwater skills will be molded to perfection in the pool, confined water, and then in the open water session. 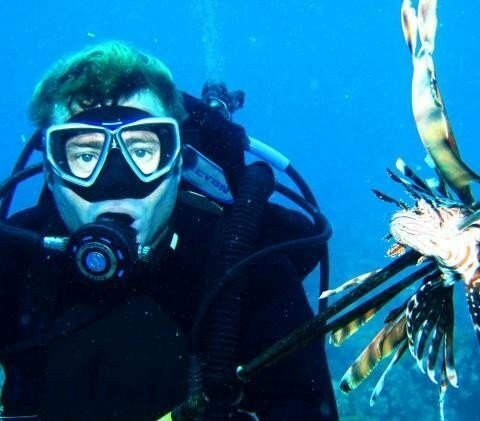 Spearfishing is one of the most conservative ways to fish. During our half-day courses, you will learn proper gun handling, target practice, boat etiquette, legal limit and species, filet techniques, and how to prepare your catch.